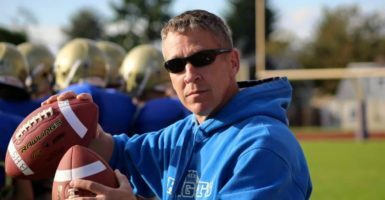 The Supreme Court could be the next stop for a high school football coach after a federal appeals court said a Washington state school district acted properly in firing him for praying in public after games. A three-judge panel of the 9th U.S. Circuit Court of Appeals ruled Wednesday that Joe Kennedy “took advantage” of his authority as a teacher and assistant coach at Bremerton High School by praying after games, when he sometimes was joined by players and parents from opposing teams as well as his own. By kneeling and praying on the 50-yard line immediately after games while in view of students and parents, Kennedy was sending a message about what he values as a coach, what the [school] district considers appropriate behavior, and what students should believe, or how they ought to behave. Washington’s Bremerton School District has no legal obligation to return Kennedy to the job he held from 2008 to 2015, the Associated Press reported of the court’s two opinions totaling more than 60 pages. The Daily Signal has followed the Kennedy case since October 2015 and produced video reports on it last year. “I just want the ability to go back out there and help these young men, and also have my constitutional rights that I fought for in the Marine Corps for 20 years,” Kennedy said in an interview with The Daily Signal’s Kelsey Harkness after filing suit last August. 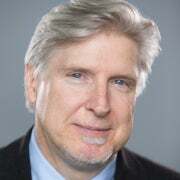 “Teachers and coaches don’t get to pressure students to pray,” Richard Katskee, legal director at the Washington, D.C.-based Americans United for Separation of Church and State, told The Seattle Times.